December certainly has been bustling with activities and many of our students enjoyed immersing themselves deeper in technology during Computer Science Week with an Hour of Code (FLVS style, of course). Others recently journeyed to faraway lands, all from the comforts of home during the FLVS 2016 World Fest. No passports were needed, just the willingness to tune in and celebrate different cultures and hear travels and tales from some of our amazing teachers. 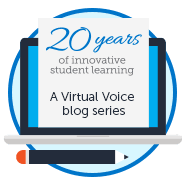 FLVS Full Time is now on Twitter! 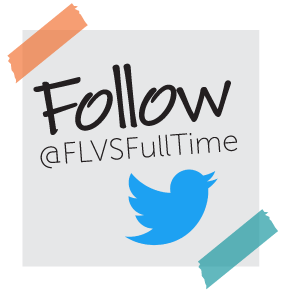 You can follow @FLVSFullTime for school updates, reminders, and announcements. For customer care, please reach us on our primary customer service account @FLVS, or on our FLVS Full Time Facebook page. Staying connected has never been easier! 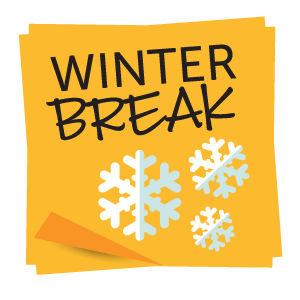 As a reminder, Dec. 19 through Jan. 2 has been designated as the Winter Holiday break for all Florida Virtual School teachers and staff. The FLVS Customer Care Center will be open from 9 a.m. to 5 p.m. from Dec. 19-31. They will be closed Dec. 24-26 and Jan. 1-2. Although teachers will not be available, you are welcome to continue regular progress in your course(s). As 2016 draws to a close, take this time to reflect, relax, and recharge. Enjoy the gift of “unplugging” as you connect with family and friends. Then get ready as we have some exciting student activities planned for January including Chinese New Year and Celebrate Literacy Week. More to come! 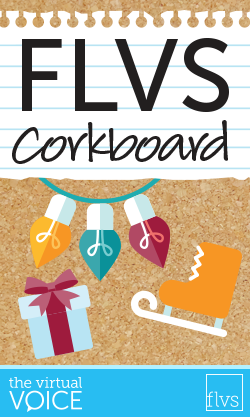 On behalf of FLVS, we wish all of you a merry and safe holiday break. See you in 2017! This entry was posted in Educator Edition, Full Time Edition, Homeschool Edition, Parent Edition, Student Edition and tagged Activities, FLVS Corkboard, FLVS World Fest, FLVS World Symposium, Parent Newsletter, Reflections, Social Media, Student Activities, Student Events, Student News, student newsletter, Student Resources, Thanksgiving, Winter Break, World Cultures, World Fest on December 14, 2016 by The Virtual Voice. This was a very enjoyable subject to read! I’ so ready for FLVS break! It’s been a good year! Have a great winter break, you guys! When does my daughter start flvs flex home schooling? What do I need to do to get her started? Hi Shawn. If you are still waiting for your daughter to be placed in a course, send us a message on our Facebook page or chat with us on FLVS.net and we can look into this for you. 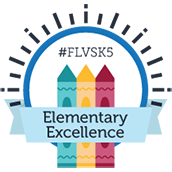 If you have questions about how to sign up, check out the Course Registration section of our FLVS Flex FAQs here: https://www.flvs.net/flex/faqs. Thank you for keeping us updated still trying to keep this in line but having some bumps along the way!this board does keep me up to date!